At Downer Wine & Spirits, we strive to have one of the best varieties of cold beer in Milwaukee. 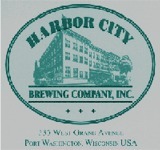 We're proud to offer over 200 varieties of six-packs of imports and domestics, featuring a great selection of some of Wisconsin's finest micro-breweries. Also available are over 100 single beer bottle varieties from some of the most unique breweries all over the world. Stop in today to see our great variety of beers - and our limited edition brews! Stevens Point, WI Sand Creek Brewing Co.